Greeting cards are a great way of engaging with your clients or recipient lists with a simple message wishing them the best. Bombouche are offering an easy and quick way to get your cards out to your clients or other audiences. 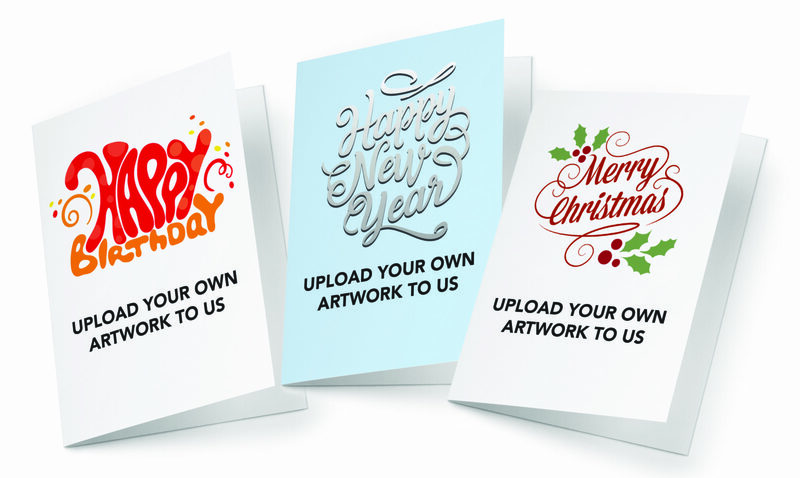 We’ve introduced 2 card options for you to choose from, personalised and non personalised, with the function to upload your own artwork. Choose the greeting card option you’d like to send, personalised or non-personalised. If you’re posting to your recipient list, upload your data. Order your cards and pay using the online checkout. We’ll handle the printing, personalisation and dispatch to either one address or your intended recipients and keep you updated on your project’s progress. All of our card products will be printed in full colour and will be A5 sized on 350gsm silk paper stock.